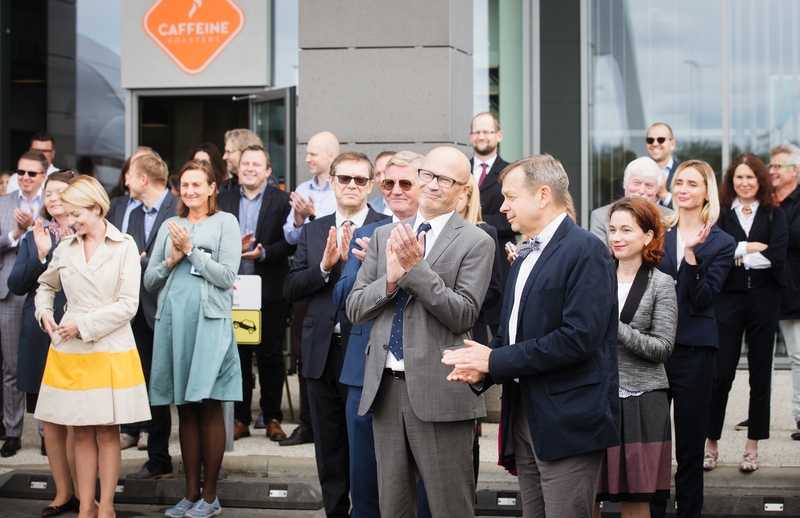 Capital Mill » Finnish Ambassador and the Mayor of Vilnius announced the official opening of Finnish Square in Vilnius, near the Grand Office! 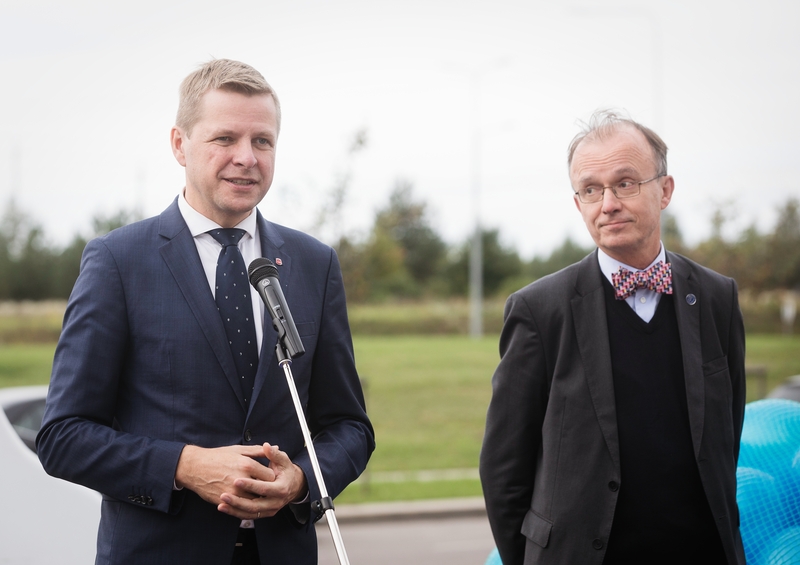 Finnish Ambassador and the Mayor of Vilnius announced the official opening of Finnish Square in Vilnius, near the Grand Office! 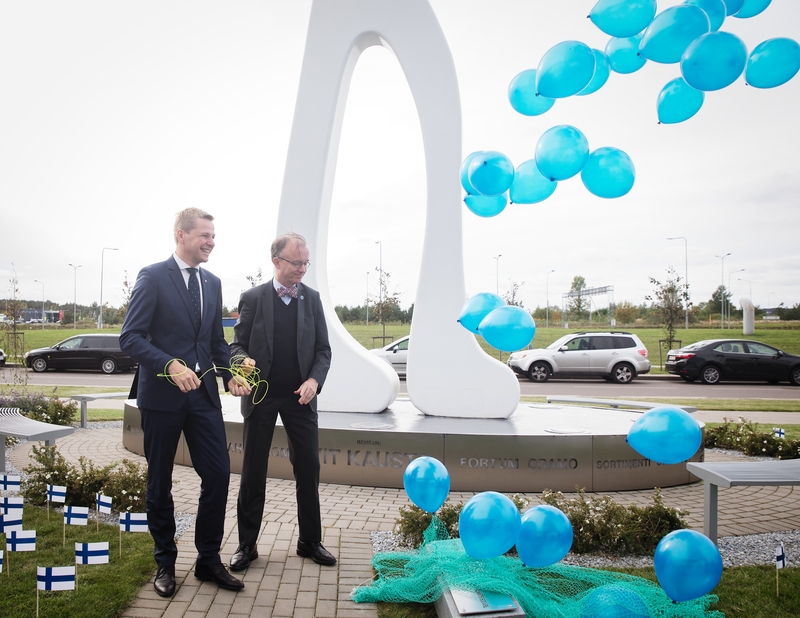 The Finnish Square has opened in the Viršuliškės neighbourhood of Vilnius, near the Grand Office business centre and featuring the 10 metre sculpture ‘Suomis’ that was unveiled in 2015. The title was awarded to the square in September 2017 by the decision of the Municipal Council of Vilnius City, while the project for the arrangement and construction of the Finnish Square was implemented by private investors this year. 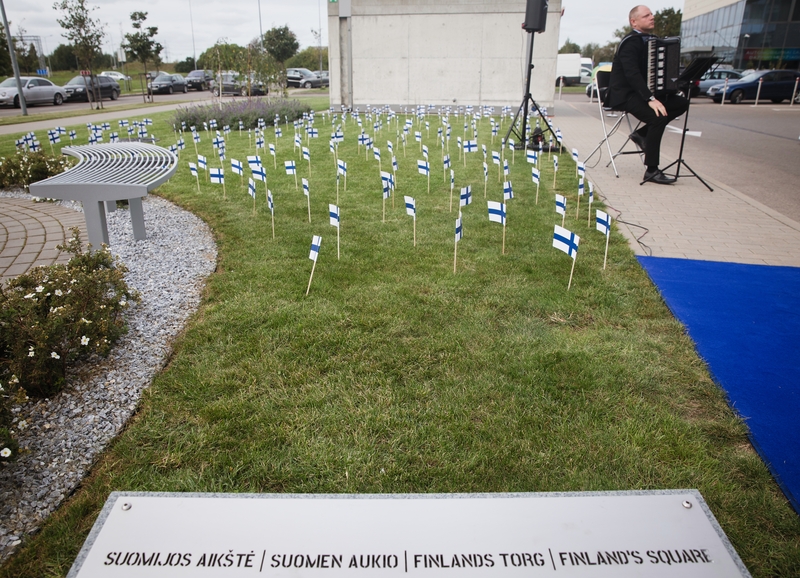 “On 6 December last year, when Finland was celebrating its Centennial of Independence, the Three Crosses sculpture in Vilnius was lit with the colours blue and white, and the Mayor of the city attended the march on Gediminas Avenue where people were singing Finnish songs. 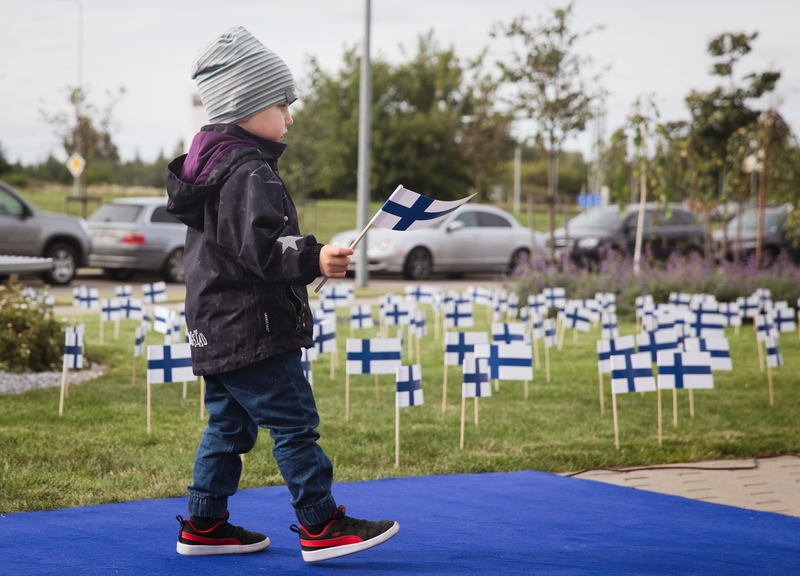 The fact that Vilnius decided to name the square after Finland a year ago is another example of the very close relationship between our two countries,” said his Excellency Christer Michelsson, Ambassador of Finland to Lithuania. 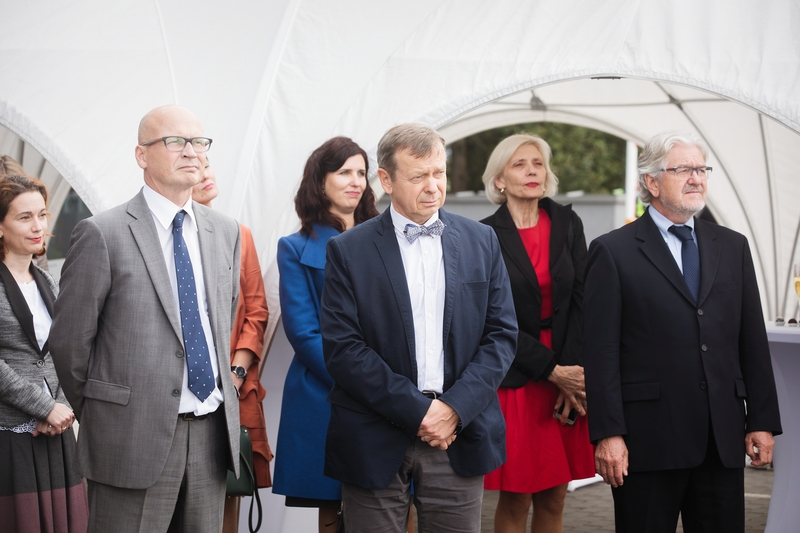 According to the Mayor of Vilnius, Remigijus Šimašius, the opening of the Finnish Square is further proof that Vilnius, which has been a multi-ethnic city since ancient times, has been successful in creating open multicultural spaces in the modern day. According to Major Šimašius, the construction of the Finnish Square, as well as the sculpture ‘Suomis’ that was erected here two years ago, are fruitful examples of cooperation between the business sector and the municipality, where the city’s public spaces are developed together with the funds of private investors. According to the Mayor, the adaptation of commercial objects and their environment to the needs of the community and the city’s inhabitants is one of the priority directions for the planning and development of areas in the capital. 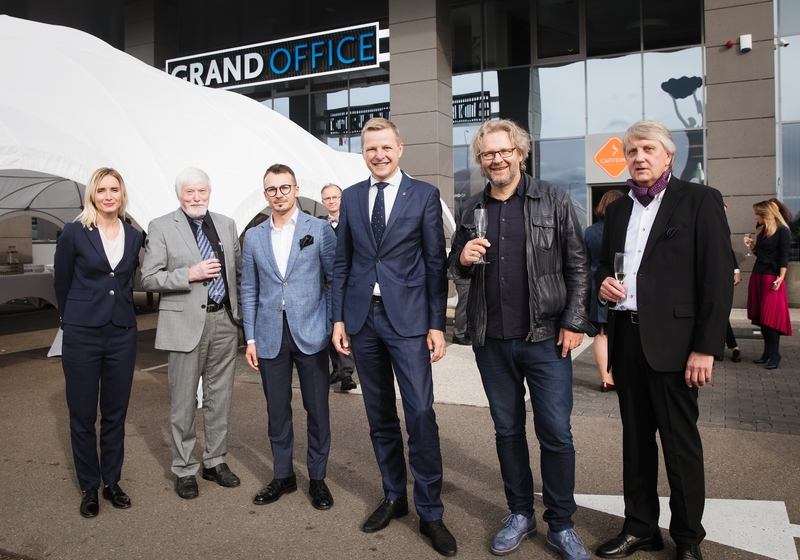 The project for the construction of the Finnish Square was prepared and funded by the Grand Office business centre represented by Capital Mill, a real estate investment management company. “Private commercial areas should not be closed – to us, as real estate developers, it is important that they are integrated into the daily activities of the city residents and guests. Therefore, in cooperation with the architect Prof. Gintaras Čaikauskas and the sculptor Tadas Gutauskas, we initiated this project. The result is the Finnish public square that is openly integrated into the ascetic minimalist environment of the surrounding Scandinavian-style buildings,” said Mr Irmantas Degutis, Head of Capital Mill in Lithuania. 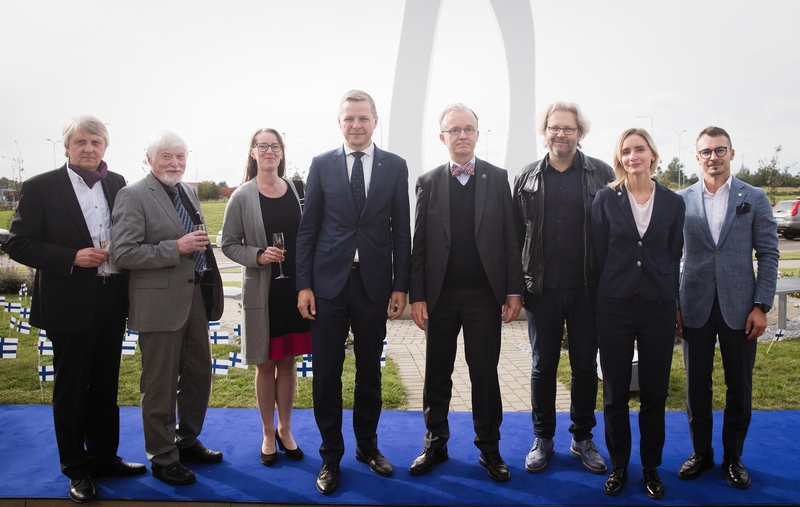 The 10 metre steel sculpture ‘Suomis standing in the centre of the newly-built Finnish Square, depicting a giant who has been chasing his dreams, was unveiled in 2015 by President Dalia Grybauskaitė and the former President of Finland, Tarja Halonen. 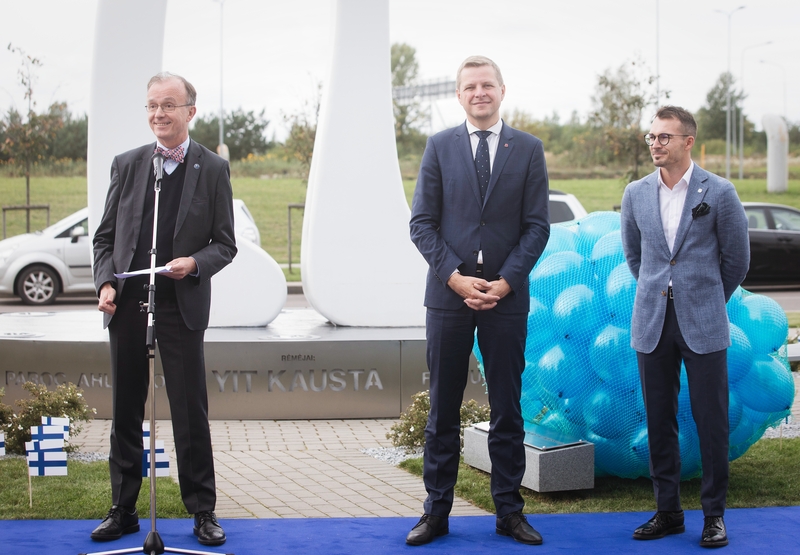 The sculpture symbolises the aid Finland has provided to Lithuania for modernisation and the new challenges to be faced on the road to joining Europe.